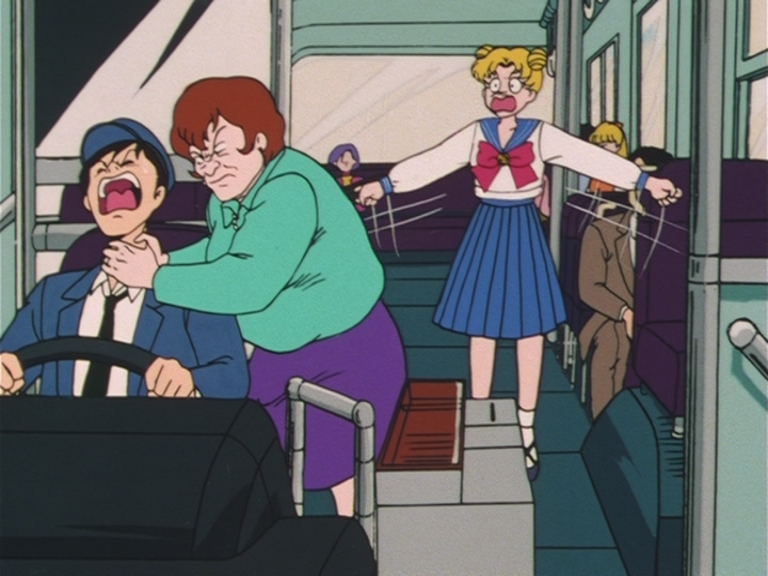 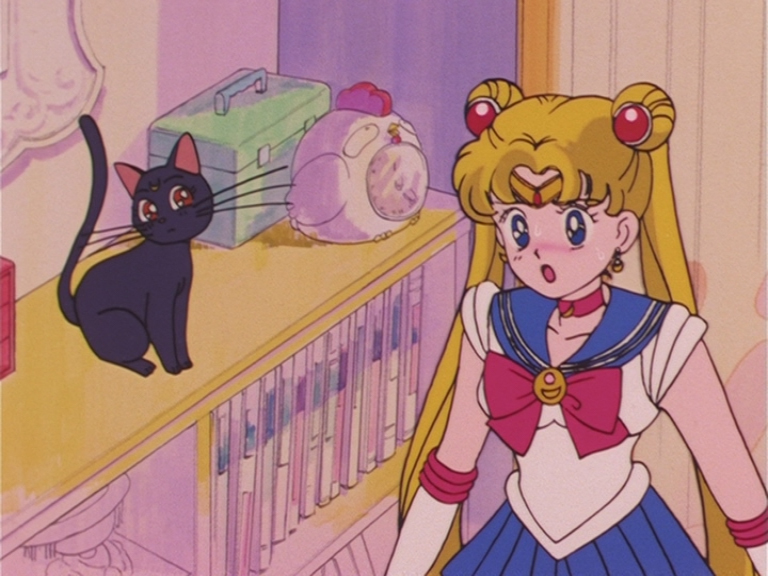 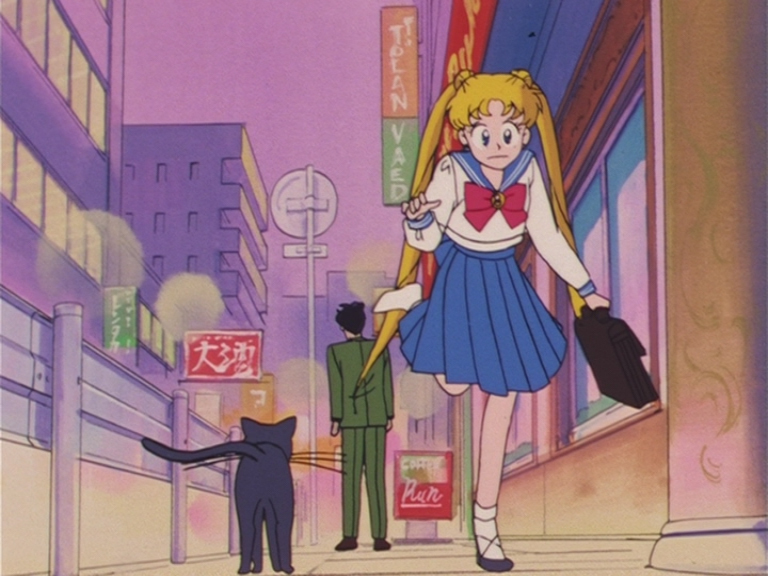 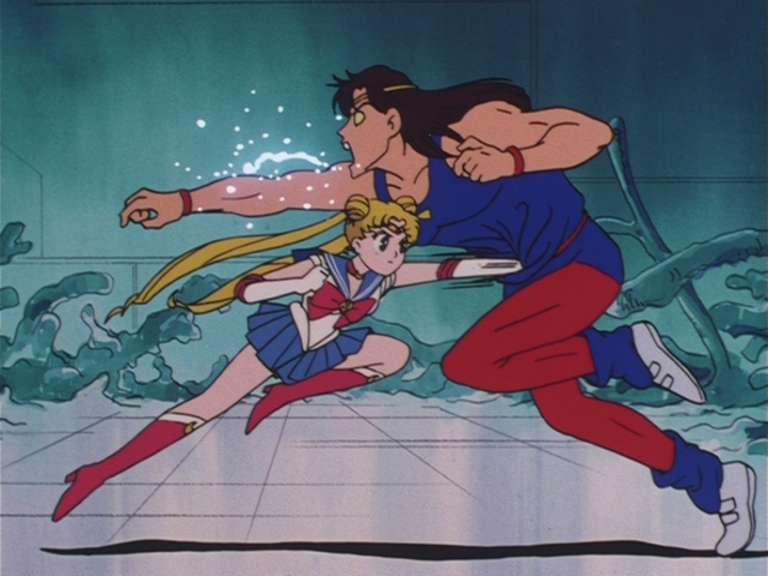 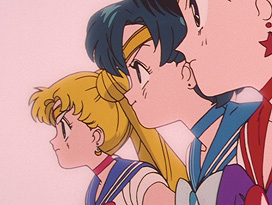 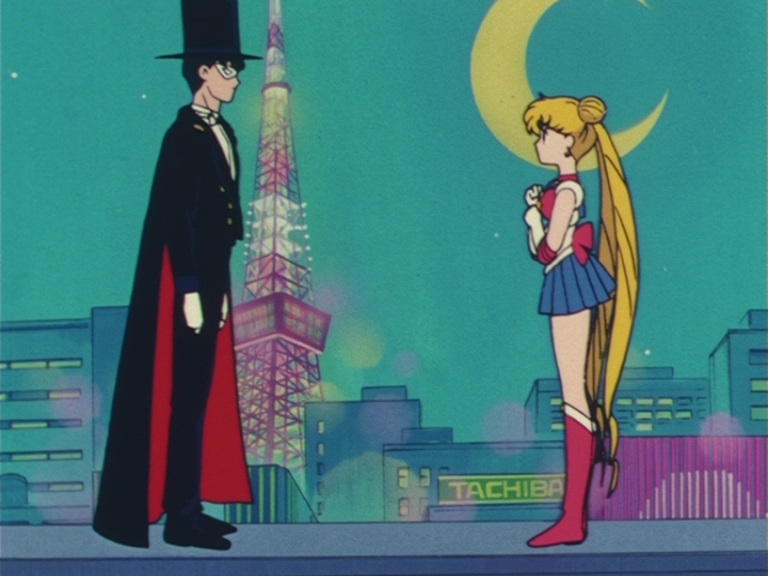 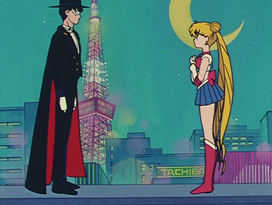 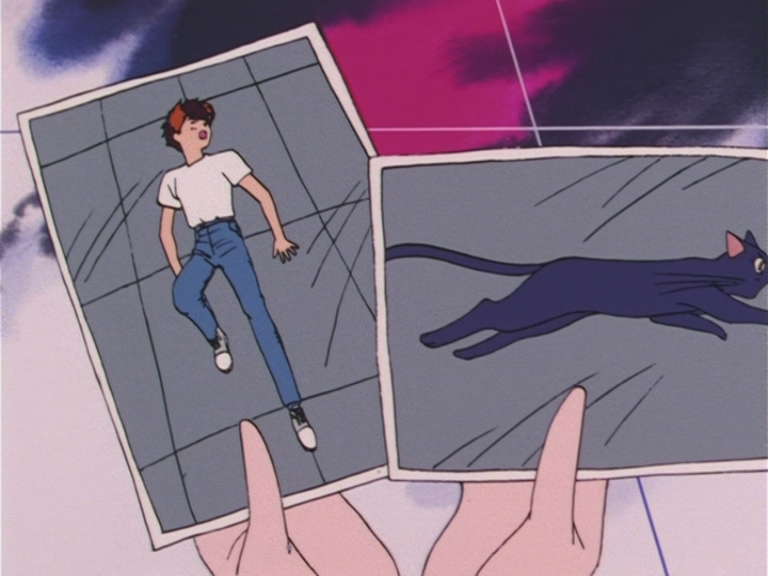 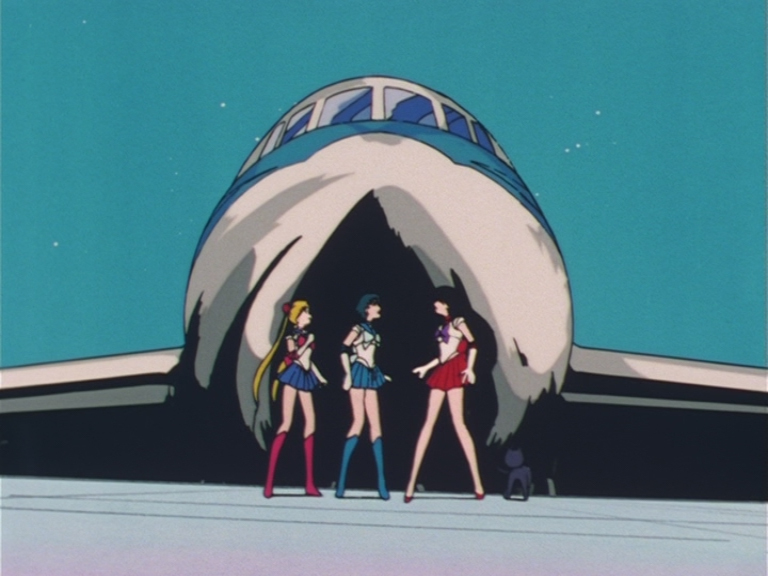 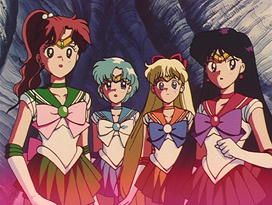 Animation errors in Sailor Moon, the first season of the anime. 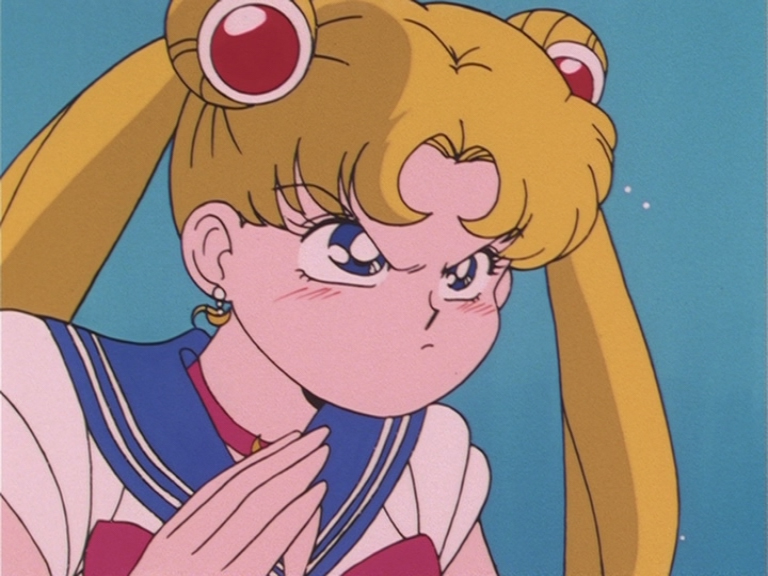 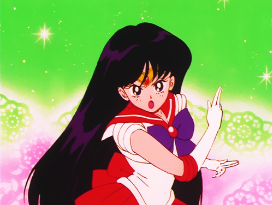 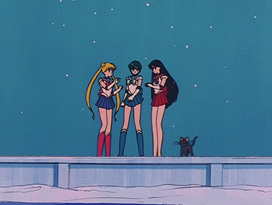 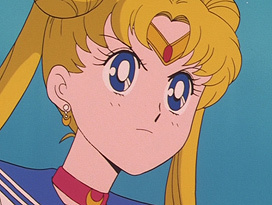 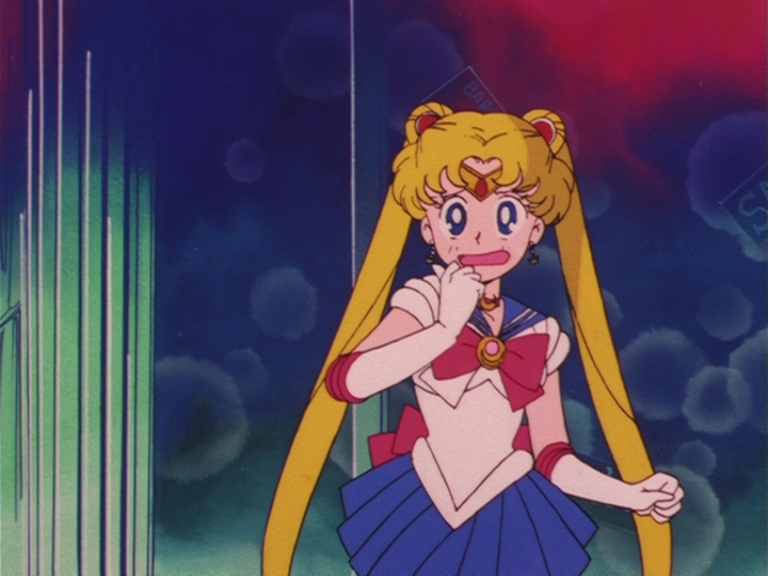 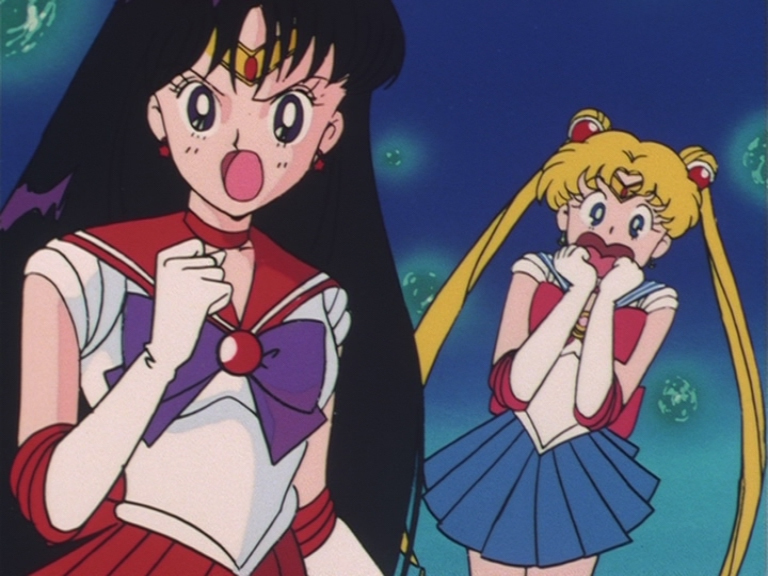 When Usagi performs the first version of "Moon Prism Power Make Up", she has a total of 7 broken fingers in a frame. 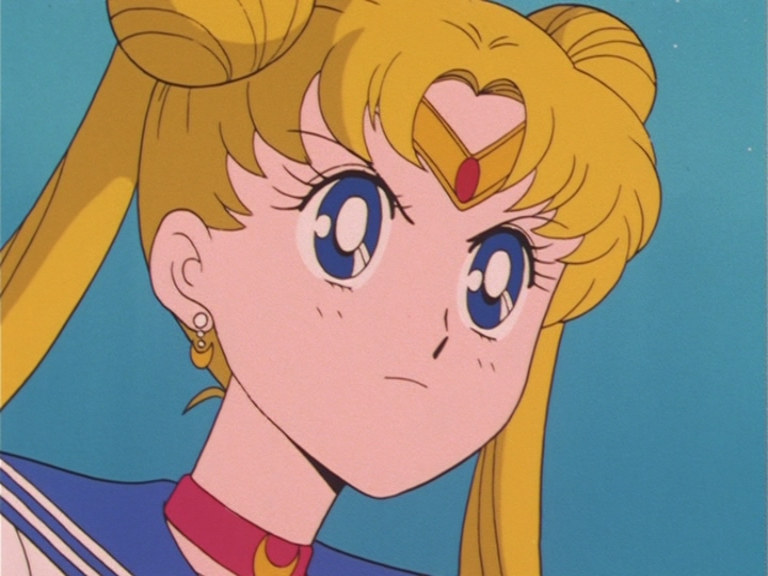 This is a type of animation technique, but still interesting. 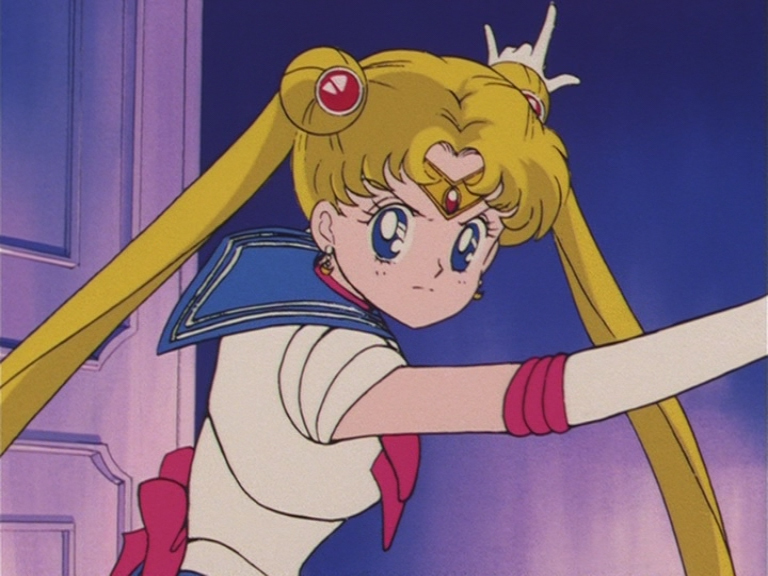 When Sailor Moon does her signature "I'll punish you in the name of the moon!" pose, her arms goes straight through her hair. 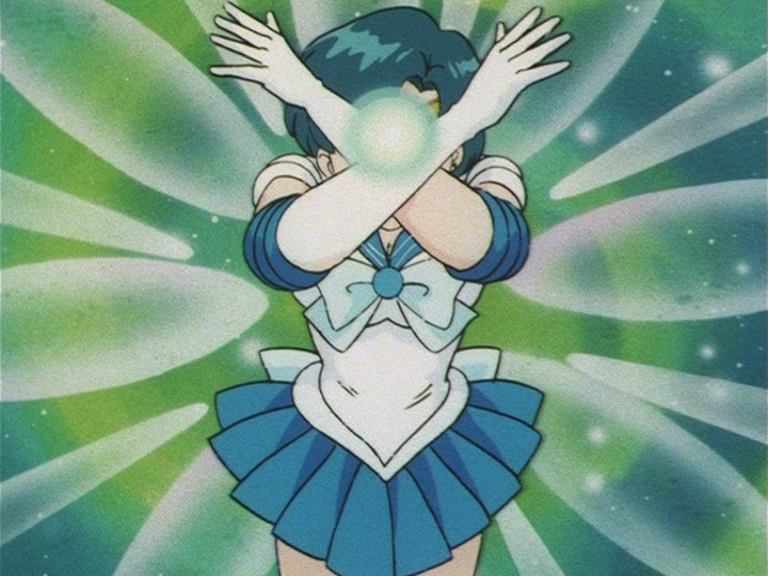 When Sailor Mercury performs Sabaõ Spray, her glove is skin colored in a frame. 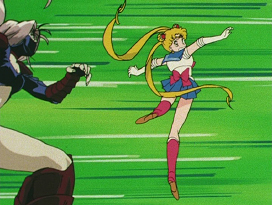 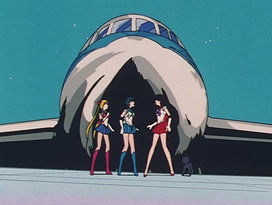 This error is fixed in the Sailor Moon S movie. 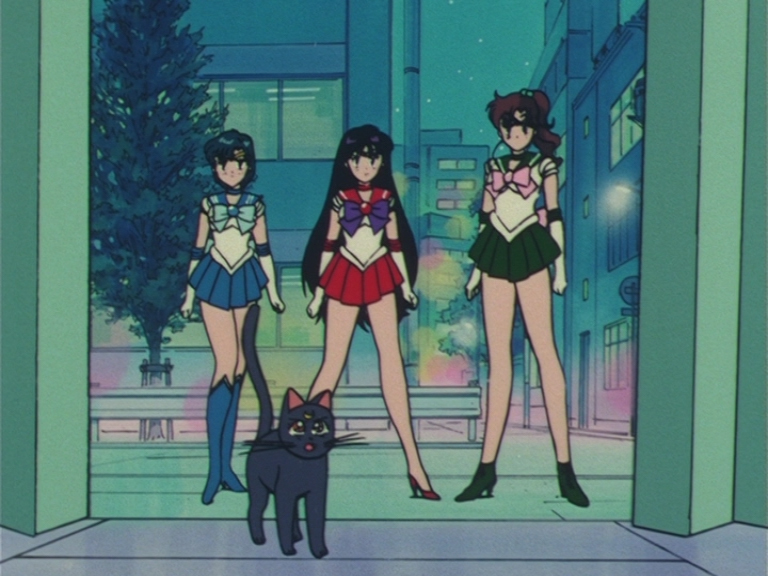 The red color from Sailor Mars' collar is missing. This was corrected in Sailor Moon S.
The back ribbon is missing. 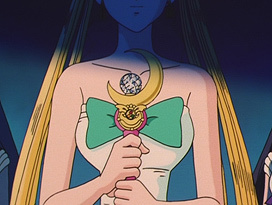 The front ribbon's bottom half isn't colored in properly. 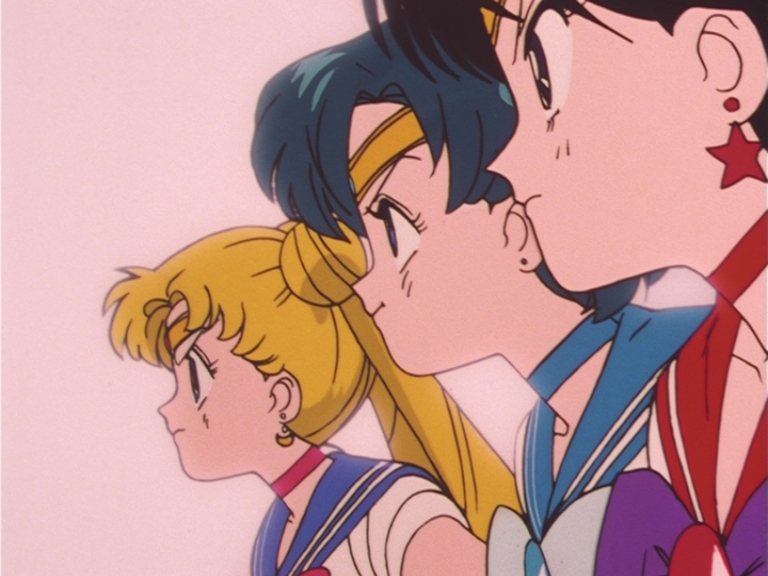 The back ribbon changes from blue to red. 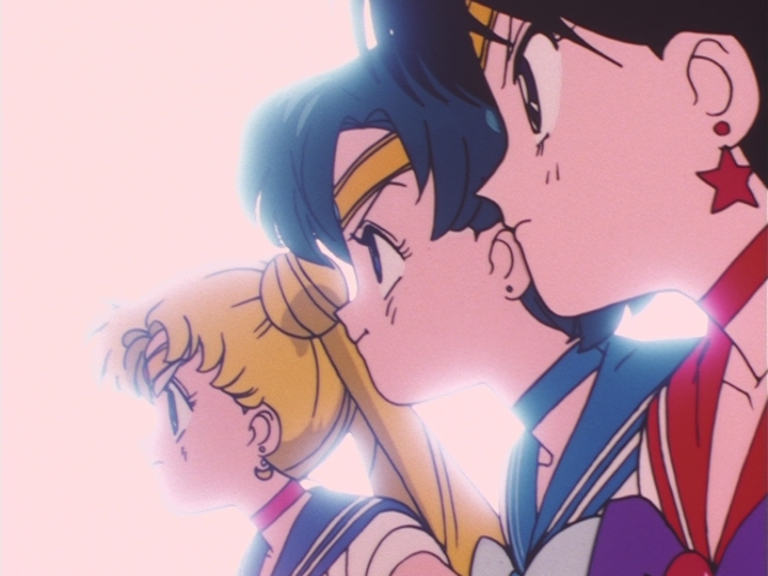 The ribbon changes back to blue the next scene. 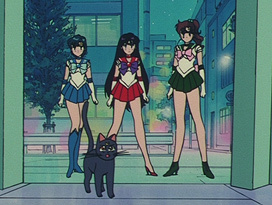 Mamoru's pants changes from purple to green. 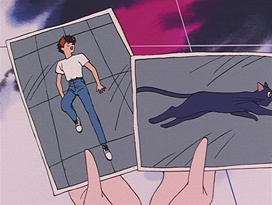 When he walks away, they return to their original color. 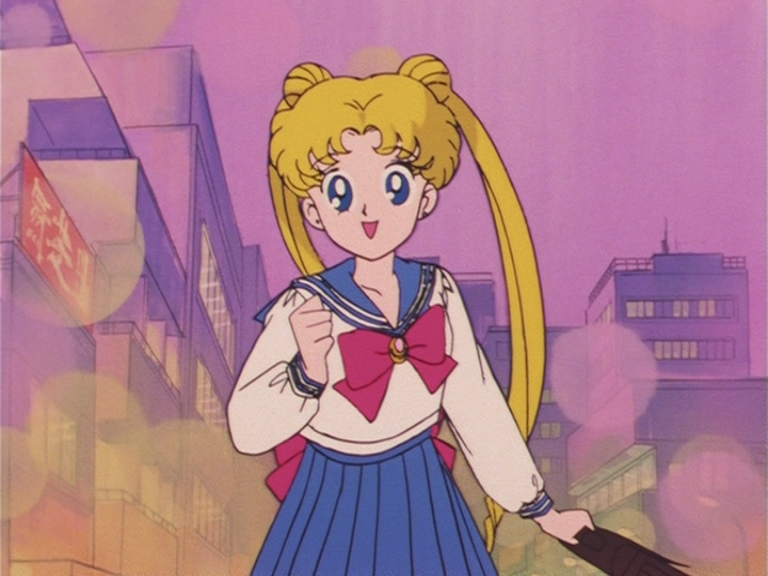 Usagi's eye whites are skin colored. 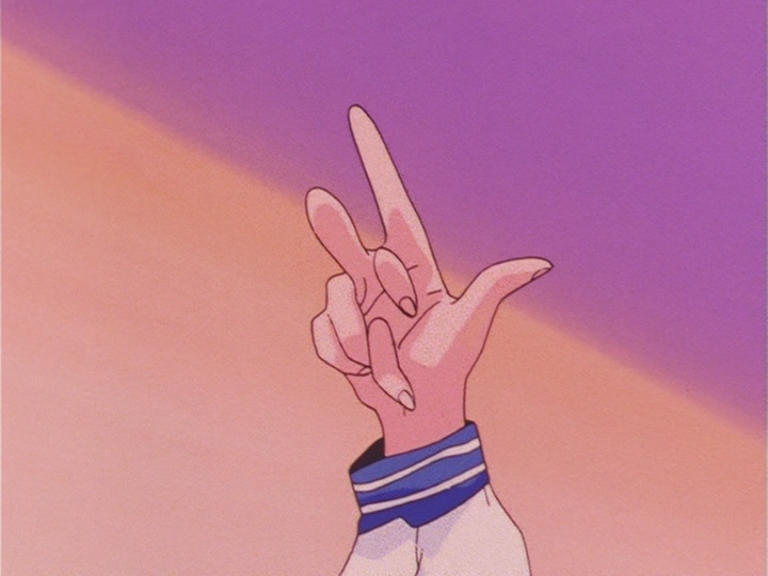 Sailor Moon's right glove is skin colored instead of white. 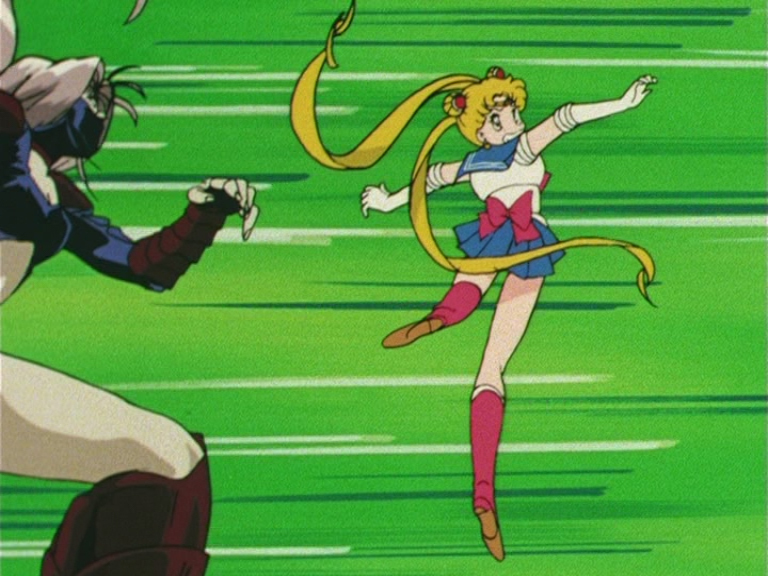 Sailor Moon's odango gems are missing as she fights. Usagi's pigtails briefly vanish as she panics. 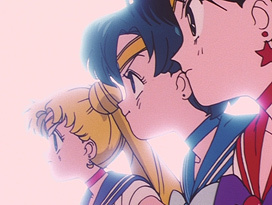 Part of Sailor Mars' tiara is not drawn in. Sailor Moon is missing her odango gems. 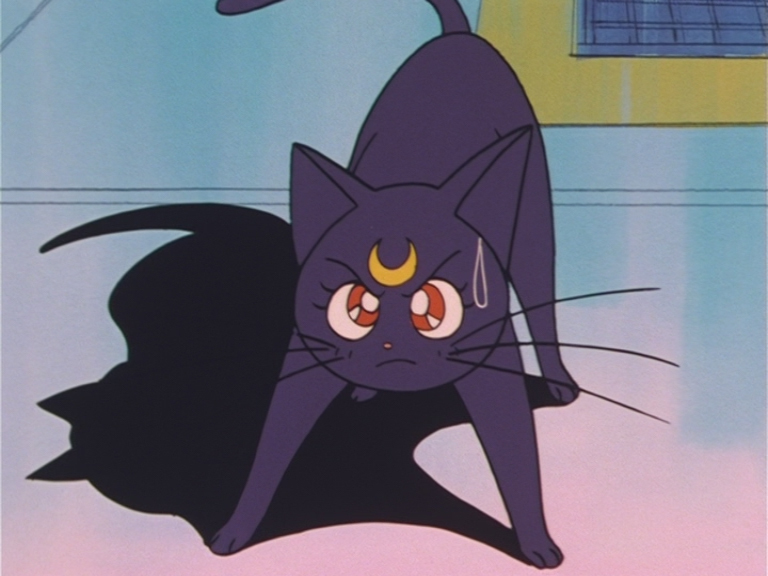 Luna's ears are not colored in. Sailor Moon's odango turns completely red. Sailor Moon's gloves are skin colored instead of white. Sailor Jupiter's brooch is pink instead of green. 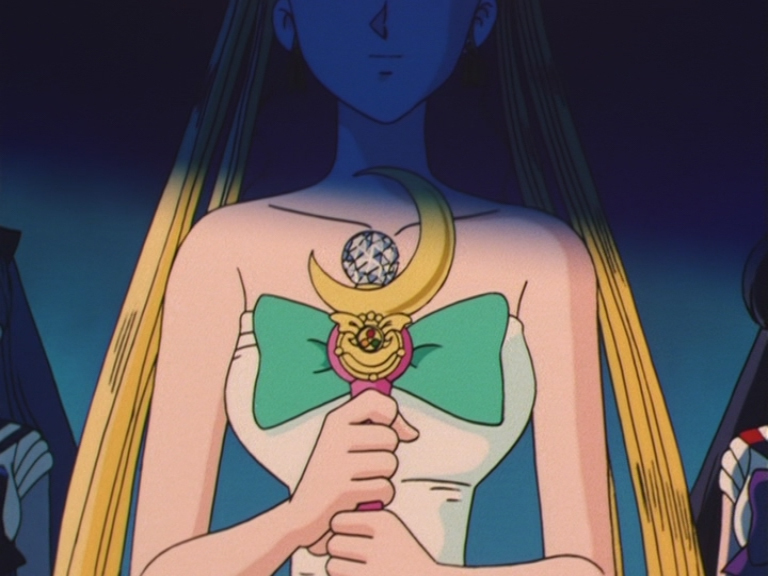 Sailor Venus' tiara gem and brooch are white instead of orange. 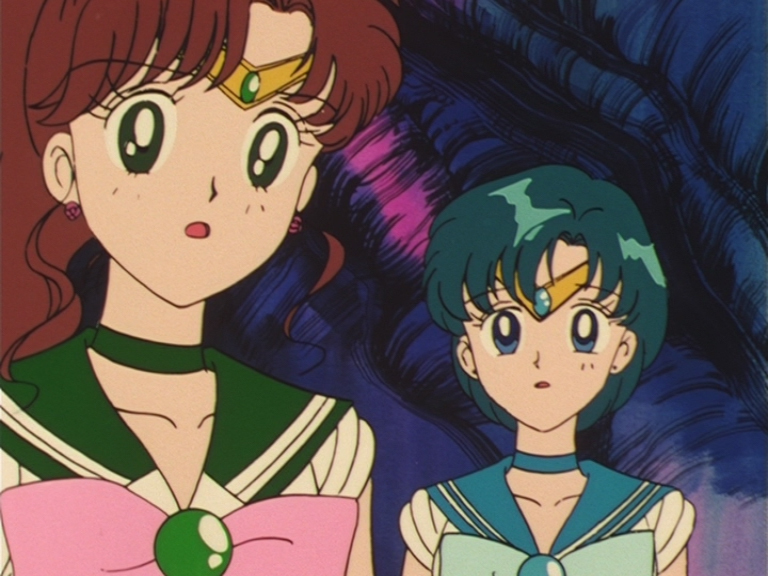 Sailor Jupiter is wearing her school uniform's collar. 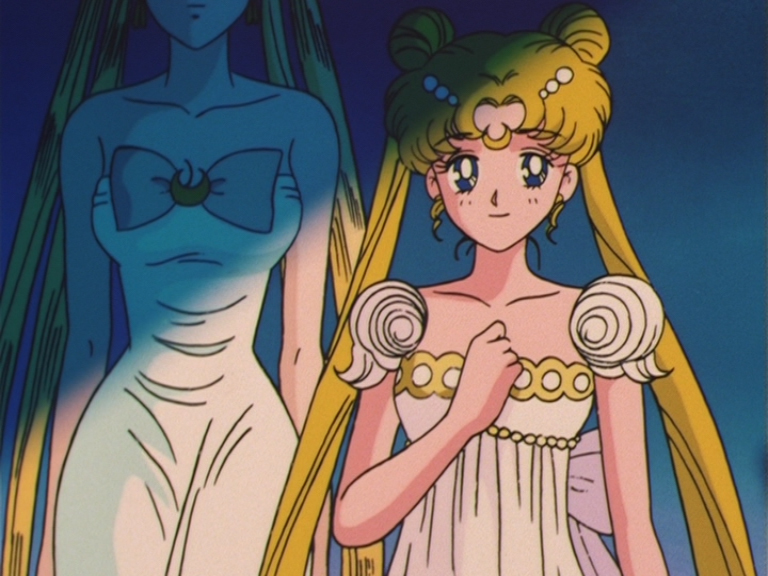 Queen Serenity's ribbon is in the wrong color, her hair is blonde instead of silver, and she has four pigtails instead of two. Queen Serenity is seen with blonde hair instead of silver. 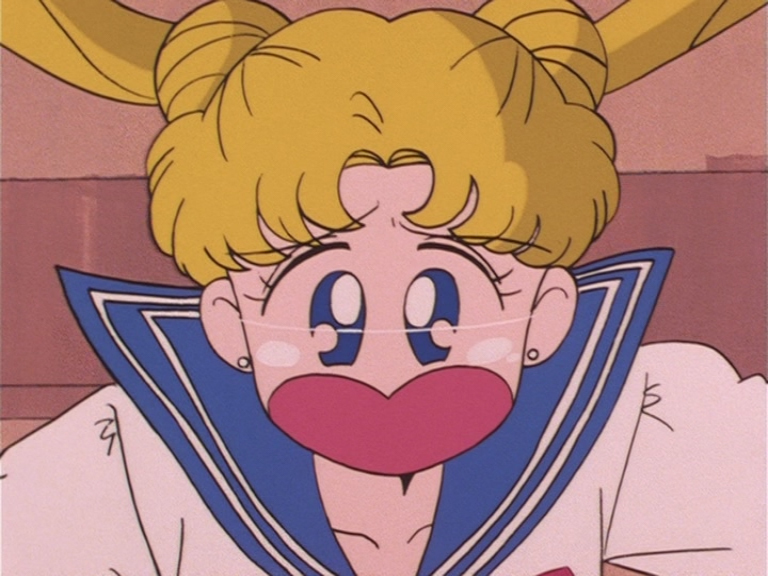 She also has four pigtails instead of two. 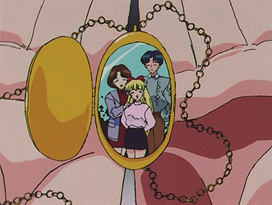 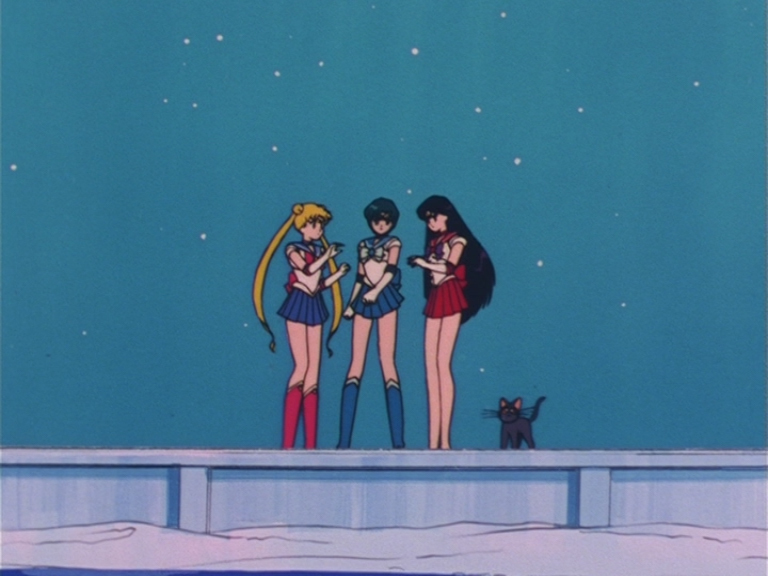 Sailor Venus is missing her gloves while holding Katarina's necklace, despite wearing them in the previous scene. A part of Sailor Moon's gloves aren't colored in. 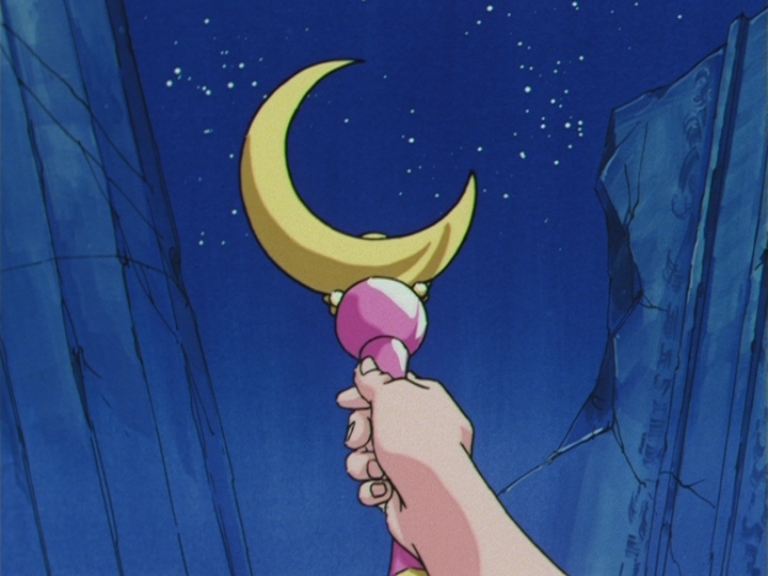 The Moon Stick isn't in her hand.